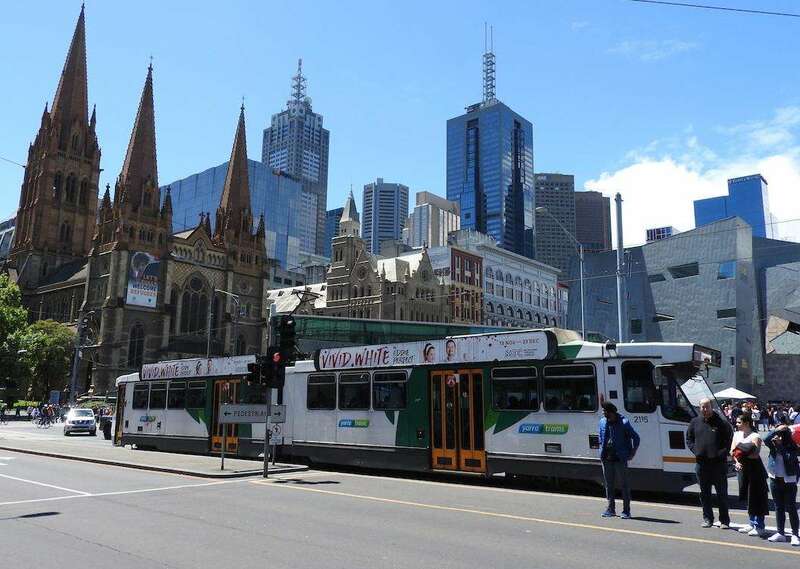 Your guide to buying tickets for the Australian Grand Prix at Albert Park on March 14-17, 2019. The best places to watch the action, including general admission, grandstands and hospitality tickets. 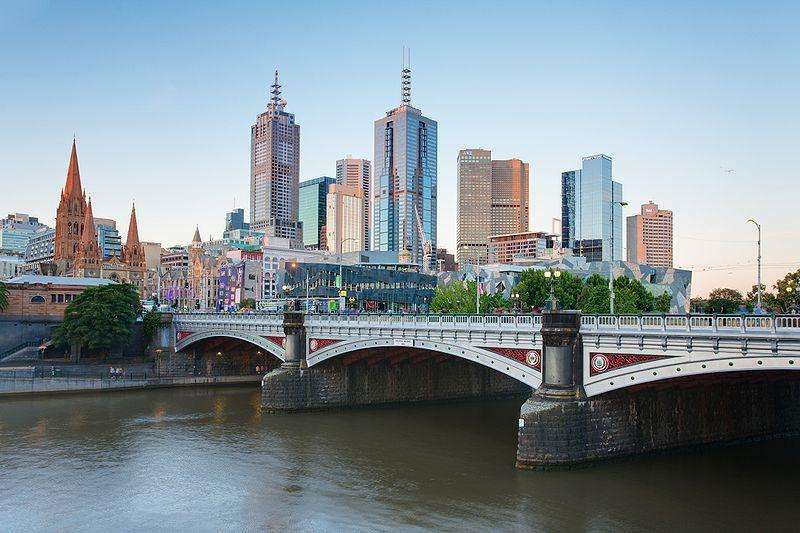 The ticket offer has remained fairly constant at Albert Park in recent years, though prices are up around $10-20 across the board for 2019. You can buy 4-days roaming access in General Admission (now known as a “Park Pass”) for under $200 or a grandstand seat from just over $300. The views from grandstands at Albert Park are generally limited to one or two corners. Some stands have a more expensive ‘premium’ section at the top which is covered, offering protection from the elements and better views. Most fans agree that the best grandstands are located on the first corner. We prefer the Brabham Grandstand on the inside of the circuit, but Jones (on the outside) is also a solid choice. Of the cheaper grandstands, the Schumacher grandstand on the Senna curve at the end of the lap is also worth considering. All prices below are quoted in $AUD. Support the development of this site by buying your F1 tickets from our partners, Gootickets. We receive a small commission when you buy using the links on this page. We don’t apply any markup, so you’ll always pay the cheapest price. We also recommend Official Ticket Packages from F1 Experiences. GP Advantage Membership! Purchase your 4-day grandstand ticket for GP Advantage membership, which gives you access to pit lane and pit straight walks, a special food & drink enclosure, and other perks. The cutoff for Gold Membership this year is July 31, 2018. For Silver membership, you’ll need to buy before November 30. 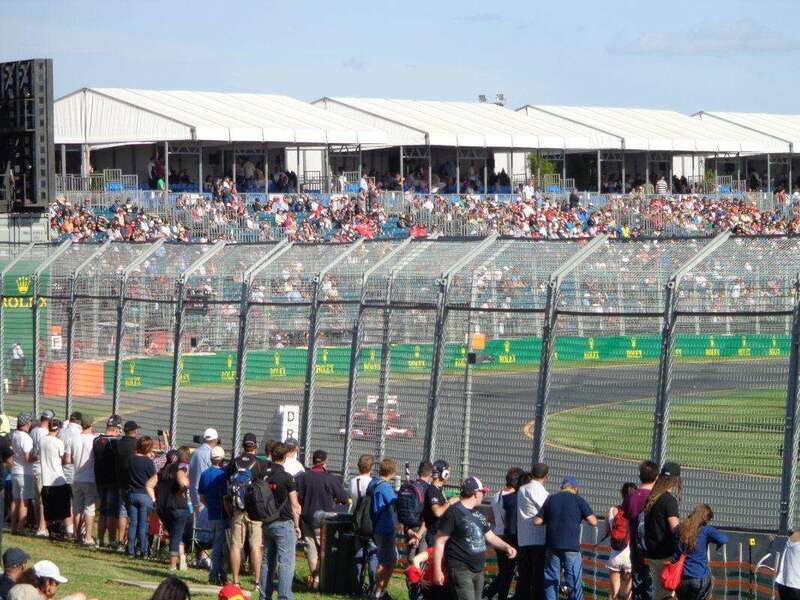 Official Ticket Packages from F1 Experiences at the Australian Grand Prix include grandstand seats or access to exclusive hospitality in the Champions Club or Formula 1 Paddock Club, plus exciting benefits unavailable elsewhere such as a Drive the Track Tour and Paddock Club Party with a current or legendary F1 driver. November 16 update: General Admission tickets are now on sale, and have been renamed as the “AusGP Park Pass” for 2019. Tickets are available for single days or the whole weekend. Children aged 14 and under get FREE entry with a paying adult. The cheapest race tickets provide access to the circuit but not a reserved seat. 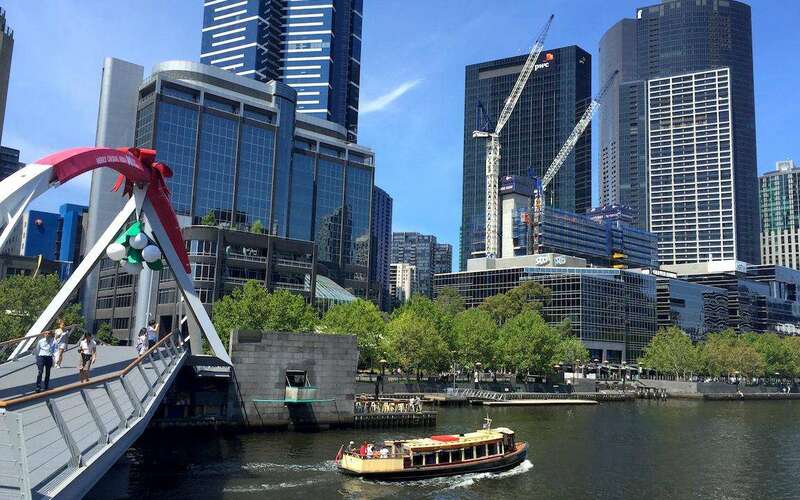 Despite having no elevation, Australia has a deserved reputation for offering some of the best general admission viewing areas on the current calendar. New general admission features have been added over the years to provide a better spectator experience for fans, including grassy viewing mounds and raised concrete viewing platforms. You can get very close to the cars at several points around the track, though your views are always obscured by the catch fencing. Large viewing screens designed for Grandstand ticket holders can be viewed at various parts of the circuit, including turns 2, 9, 11 and 12. The best general admission vantage points get very busy on Saturday and Sunday, particularly ahead of qualifying and the race, so if you are determined to watch the action from a particular spot, get there early. See below for some videos showing General Admission views. Webber is located at the start of the main straight, between the last corner and opposite the pits area of the V8 supercars. It offers a view of the final corner and start of the pit straight, but without pit, grid, or start views. Perhaps the pick of the grandstands in the cheapest price bracket, Schumacher is located between turns 15 and 16 and adjacent to the pit entrance. Note: you can also buy tickets for the “Ferrari Supporter Zone,” which is a dedicated section of the Schumacher grandstand. The popular Waite grandstand, located on the East side of the Albert Lake next to turn 12 also offers a great view of high-speed turns 11 & 12. There are often thrills and spills at these corners. The Kids Area and food and entertainment options are close by. Also on the Eastern side of the lake, the Clark Grandstand offers views of turn 9 and turn 10. Expect lots of on-track action, particularly in V8 supercars. On the downside, you are a long way from the off-track action on the other side of the circuit. Grandstands in Australia are not raised high off the ground. Try and get a seat in a higher row so your view won’t be obscured by the safety fencing. Children’s tickets are available for all grandstands. Prices are seat at around 40% of the full adult price. All grandstands have large viewing screens opposite so you won’t miss any of the on-track action. The Senna grandstand is situated on the main straight, close to the final corner with views of the pit entrance and support pits. Cheaper than the adjacent Prost grandstand (which is closer to the corner), but still a good choice for a budget grandstand. Moss is located at the end of the main straight, before the first corner and adjacent to the more expensive Jones grandstand, which has a better view of the corner. Tickets are cheaper in 2016 however, so it’s worth considering. Fangio is located on the start/finish straight opposite the F1 pits. Despite offering little chance of on-track thrills, Fangio does offer a ring side seat for the build up and start of the race, as well as the finish and podium celebrations. Adjacent to the Schumacher grandstand, but higher priced due to the better view of both turns 15 and 16, the pit entry and a view of the cars going down the main straight. Brabham offers similar views to the Jones stand (turns 1 & 2), but is located on the inside of the track, so also offers a view down to turn 3. Unlike Jones, Brabham has the sun behind it for most of the day, a definite positive. The best views are from the higher rows on the right side. The Jones stand is situated on the outside of the track at the end of the pit straight and offers views of the pit straight and first corner, a great place to watch the start of the race and lots of passing maneuvers. Best views in Jones are from seats higher in the stand. A downside to Jones is that it faces the sun for most of the day. One of only two grandstands located on the inside of the track (the other being Brabham), the World Champion Grandstand is located on turn 4 and offers views of turns 3-5. The stand is all covered and has its own dedicated catering and bar facilities. Situated on turn 3 with a great view of the cars approaching this low-speed corner and also a view of turn 4. The all premium Piquet stand is covered and has its own dedicated bars and catering facilities located directly behind the stand. Although a little cramped and without elevation, turn 3 is a slow speed corner which allows fans to get very close to the cars (both on the inside and outside of the corner.) There are a few spots with gaps in the safety fencing providing opportunities for amateur photographers and trees provide cover from the sun. You can get very close to the cars on the inside of Turn 6 and then see them across the lake as far as Turns 9 and 10. This area doesn’t get so congested, even for the race, so it’s a good option if you want to escape the crowds, but it is a long walk from the other parts of the track. Adjacent to the Clark Grandstand, this is a great spot to watch the cars approaching turn 9 and 10, where there is always lots of action in all racing categories over the weekend. You can also see the video screen for the Clark Grandstand and there are food and drink options close by. This large viewing mound with a viewing screen – also known as Brocky’s Hill – is directly beside the Waite grandstand and provides a great opportunity to see the cars coming down the back straight and going into the high speed turns 11 & 12. This area is very popular, so get there early on race day to reserve your space. 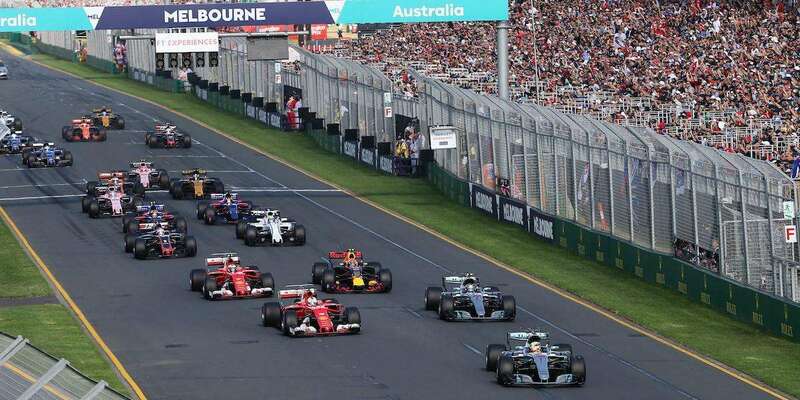 Been to the Australian Grand Prix? Comment below your favorite place to watch the action. Is there any sort of indication as to when GA tickets may be available, or when they have become available in previous years? is there any way to reserve an actual seat number when purchasing something like the 3 grandstand pass or is it just at random selection until fully allocated ? This might be a daft question but if purchasing a grand stand ticket do I also have to buy a general admission ticket as well or is it included in the price of the grandstand ticket? It’s one or the other. Grandstand tickets always provide general admission access to the circuit. Any tickets for 1 day, mainly to see the V8s? Yes, you can buy General Admission tickets for single days. They are not yet on sale, but will be in a few months’ time. Can you buy Grandstand tickets for single days ? Any further info/idea as to when General Admission tickets will go on sale? Hi Nic, General Admission tickets went on sale today. They have been renamed to “Aus GP Park Pass” for 2019, but prices are the same or cheaper. Can you purchase a Grandstand ticket for one day? I don’t believe so. Only 4 day grandstand tickets are sold. You can get 1-day General Admission (Park Pass) or hospitality. When it comes to Brabham Grandstand – what do you mean by right side? Further away from the start line? That is sector F? Yes, exactly. Right side looking at the track, so closer to turn 2. That would be sector F.
How much does the club 15 add on cost and how do you purchase this in addition to a GA ticket? You can, but there’s always the chance that tickets will sell out before the race weekend. I was wondering for Brabham grandstand, would it be better to take sector F row K or sector E row M? Which one has a nicer view, higher rows or further right side? Thanks! Can you purchase a 3 day pass at the gate? If yes, for how much? Hi Jo, you should be able to purchase an “AusGP Parks Pass” (the new name for General Admission) at the gate, provided they haven’t already sold out. Prices are as follows: Thursday $30, Friday $40, Saturday $75, Sunday $89 or 4-day pass for $175. Can you recommend any good spots for the amateur photographer to capture some great images in the general admission zones?